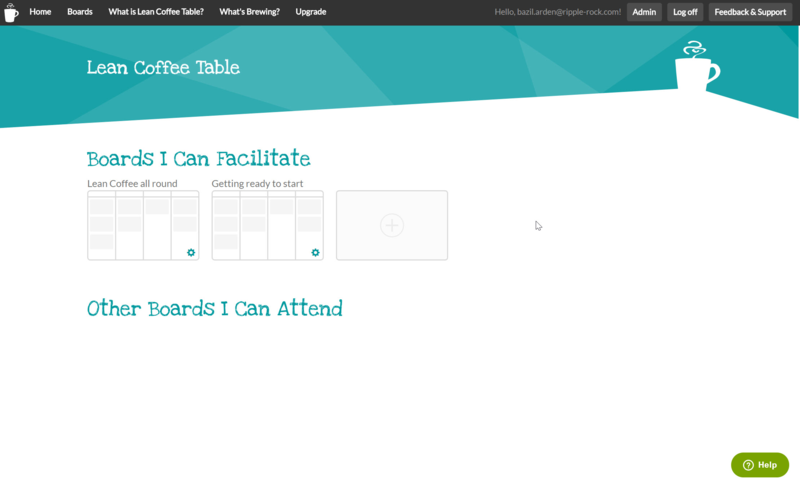 Lean Coffee Table helps distributed teams to run effective 'agenda-less' 'Lean Coffee'™ meetings. Lean Coffee™ is a wonderfully simple idea developed by Jim Benson and Jeremy Lightsmith. Check out leancoffee.org for more on their ideas and guidelines on running an effective session. Whilst nothing can improve upon a Lean Coffee™ around a physical table – we want to enable distributed teams to be able to conduct these rapid and effective conversations. This continues until the end of the timebox, typically 45 – 60 minutes. Once the session has finished the facilitator may export the actions and download a summary report detailing the session attendees, the topics discussed and associated actions. We use Lean Coffee™ at our clients and have found it to be a great way to have energised, effective discussions on the topics that are piquing the interest of the people that happen to be around the table at that moment. We tried to do Lean Coffee™ for our weekly 'RippleRock Sync' meeting, where our consultants dial in from different locations, mostly home, on a Friday. 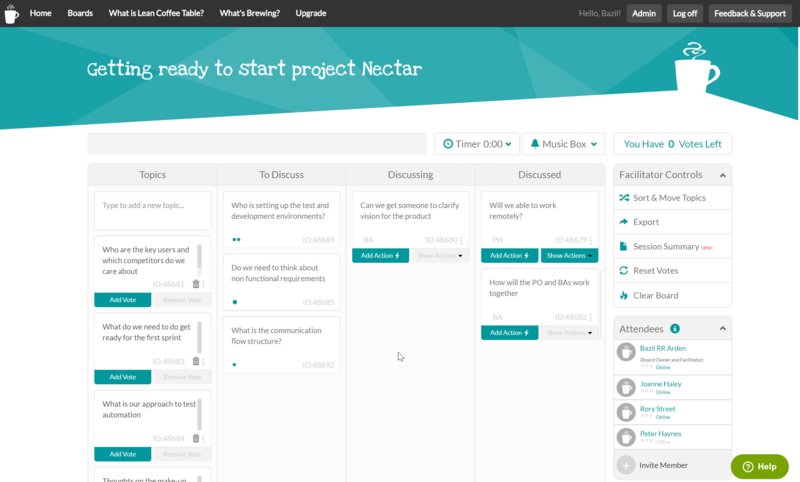 We tried other tools, like Lync and Skype and found that they got in the way of a seamless experience – so we decided to write our own applications which evolved rapidly to become Lean Coffee Table. 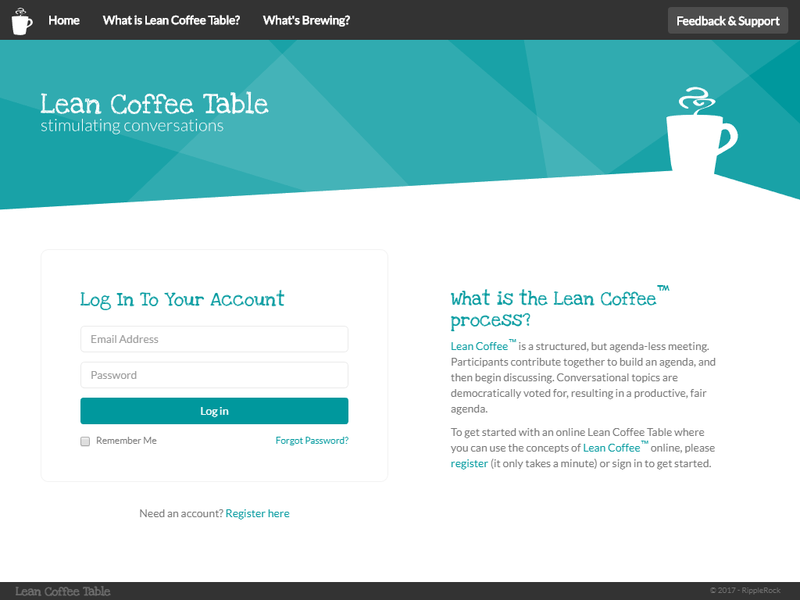 Rory Street wrote Lean Coffee Table and would love to hear your thoughts and suggested improvements.